Last week we introduced our newest series of little patterns, our "Little P" patterns! So far they have been very well received, with plenty of oohs, aahs and squeals at how cute they are! 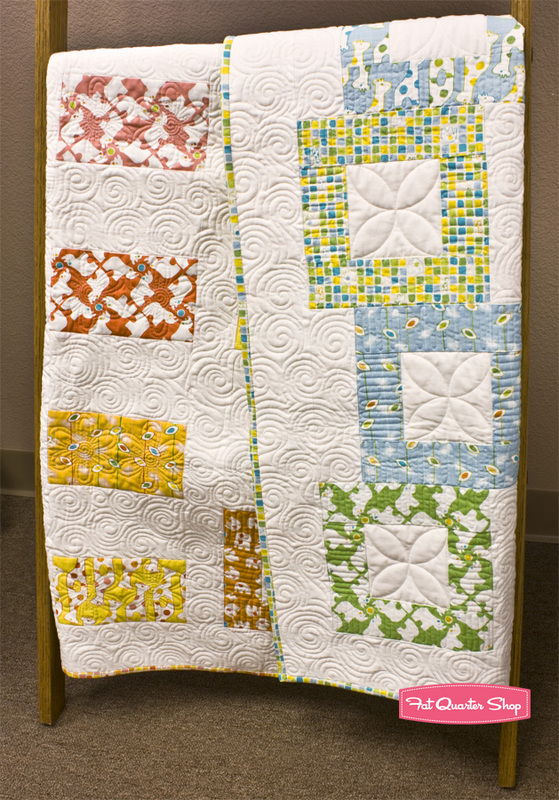 Tumbling Blocks is the quilt that launched it all. 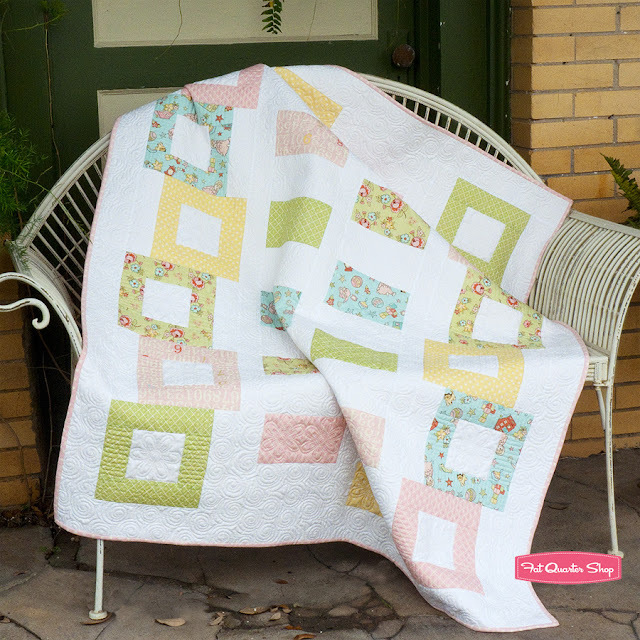 For a long time I've been wanting to design super easy quilts that are interesting and show the many different ways to use fat quarters (totally appropriate for us, I'd say!). Just as this thought process was going, we were shown the Vintage Baby line by Lori Whitlock from Riley Blake Designs, and I went nutso over it. This fabric completely and utterly screams Kimberly. So precious, sweet and light with adorable prints – making it perfect for a small, simple quilt using fat quarters. See where I was going with this? After a bit of churning in my mind, I drew out Tumbling Blocks – blocks and rows made multiple times and switched up. It blows our minds with adorable-ness, but anyone can do it! And it only uses a few fat quarters, one background and a binding, which you may already have laying around in your stash. Another bonus is that it took me less than four hours to make this sample. With four kiddos in the house, that is a very good thing! I knew I was onto something, and thus Little P’s were born! While the cover quilt uses soft, frothy pastels, we have made other samples that use bright, vibrant fabrics that look equally awesome. Yep, they are made with the adorable Savanna Bop by Thomas Knauer! Try Tumbling Blocks out today! Promise you’ll love it! Shop owners, you can find Tumbling Blocks at United Notions, Brewer and E. E. Schenck as ISE-501.